Romania’s capital can be a really nice and attractive city if you know where and how to discover its true treasures. Though it may get crowded sometimes and it isn’t the cleanest city in the world, with little patience you will discover a cosmopolite city, with numerous museums, interesting old and new buildings, luxury stores and very green parks. If you’re wondering at this point what things to see in Bucharest, let me be your guide. 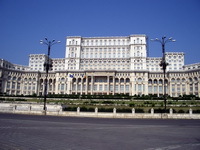 The vast majority of Romanians call it simply, People’s House. It is one of the largest buildings in the world (the second after the Pentagon) and it has been built in only 6 years (1983 – 1989). 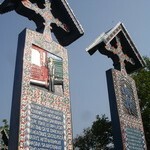 For some, this building is a symbol of communism, for other it is a reason of pride. Regardless of this controversy, People’s House is indeed impressive. It has 1100 rooms, of which there are 440 offices, more than 30 assembly rooms, 4 restaurants, 3 libraries, an auditorium and 2 underground car parks. All of the materials used for the erection of this building are from Romania. This museum is one of the first open air museums in the world, as well as one of the main tourist attraction in Bucharest. 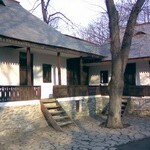 The museum is situated in the Herastrau Park, a wonderful green and quiet place. You can visit there more than 70 households, from all over the country, along with centuries old traditions and tools. 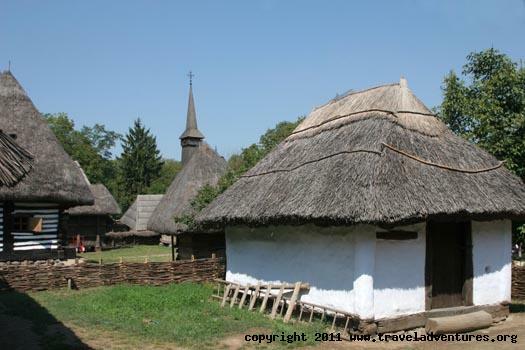 Every household is recreated minutely so that you can really understand the way people were living there hundreds of years ago. Very often the museum hosts exhibitions displaying old manuscripts, craftsmanship objects, color or black and white photos and so on. One of the architectural symbols of Romania, this concert hall was built in 1865 with the aim of giving useful knowledge to the Romanian people through the performances it would host. The neoclassic building is circular and it has 6 large pillars (reminiscent of the ancient Greek style) at the entrance and 4 amazing spiral stairs inside. The concert hall is fascinating mainly due to the large fresco decorating its circular wall that illustrates some of the most important moments throughout the Romanian history. You can find this extraordinary building on Franklin Street, 1-3 and you can visit it whenever you like, from Tuesday to Sunday when there are concerts there. These are only the most important things that you absolutely must see. There are so many things to see in Bucharest, that you need time to explore it as it deserves. Indeed, Bucharest has a bit of everything for everyone.